Spring weather can be extremely unpredictable and create some dangerous driving conditions. Top Driver has created our top list of spring driving tips. To learn more about Top Driver Education visit us online at www.topdriver.com or call (888) 471-5418. When gusty winds start to crop up, do your best to anticipate and counteract the wind gusts (particularly if you’re in a larger vehicle). Do this by having total control of the wheel and noticing patterns in the wind’s behavior. Like we mentioned, larger vehicles can be particularly susceptible to the wind’s volatility. Keep your eyes on them, as they may potentially swerve into your lane unintentionally due to unanticipated wind gusts. Make sure to keep a steady, stable grip on the wheel. Grip tightly to keep the car under control, but don’t unintentionally swerve by gripping too tightly. The best thing to do when road conditions are wet or windy is to take your speed own. 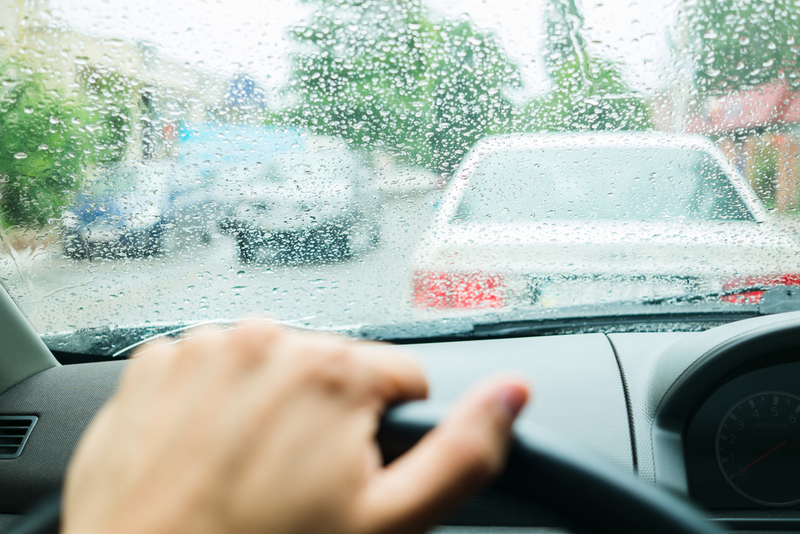 Slowing down will help you from getting taken by surprise by any wind or hydroplaning that might occur. If your vehicle doesn’t have automatic rain or fog lights, it’s critical that you switch your headlights on in inclement weather. This insures that you have the visibility necessary and that other vehicles can see you too. Keeping a six to ten second distance between you and the vehicle in front of you will keep you safe if wet roads or frozen/thawing roads cause hydroplaning or sliding. This entry was posted in Top Driver Blog and tagged Allow Space, April Showers, Driving in the Rain, Driving Tips, Headlights, Large Vehicles, safe driving, Take Your Time, Top Driver, Weather Driving.